Yamaha have hit a rich vein with their MT range, the platform seems to be capable of anything. From the restricted-licence kicks of the Yamaha MT-125 and MT-03, to the wheelie-happy fun of the MT-07 and MT-09 and on to the sheer mania of the MT-10. They’ve even used the platform as the basis of adventure bike concepts, and of course the ultimate opinion-splitter, the Yamaha Niken. The Yamaha MT-09 Tracer was the brand’s do-it-all touring machine before the introduction of the Yamaha Tracer 900 (essentially a name change). With tweaked suspension, an upright, comfortable riding position and ironed-out fuelling, there’s an awful lot to like about it. If you want a machine that is just as happy devouring motorway miles as it is ripping through the twisties and will get you to your destination feeling fresh as a daisy, then look no further than the MT-09 Tracer. "This is a seriously good bike at a seriously great price. It’s great fun, characterful, useful and a bike for all seasons. It was because of this that it became a leading contender for 2015 Bike of the Year. With that stonking triple’s fuelling, it’s both immensely versatile and thrillingly invigorating. "The bike comes in superb original condition with an immobiliser fitted. It will be fully serviced, has a full service history and a warranty included." 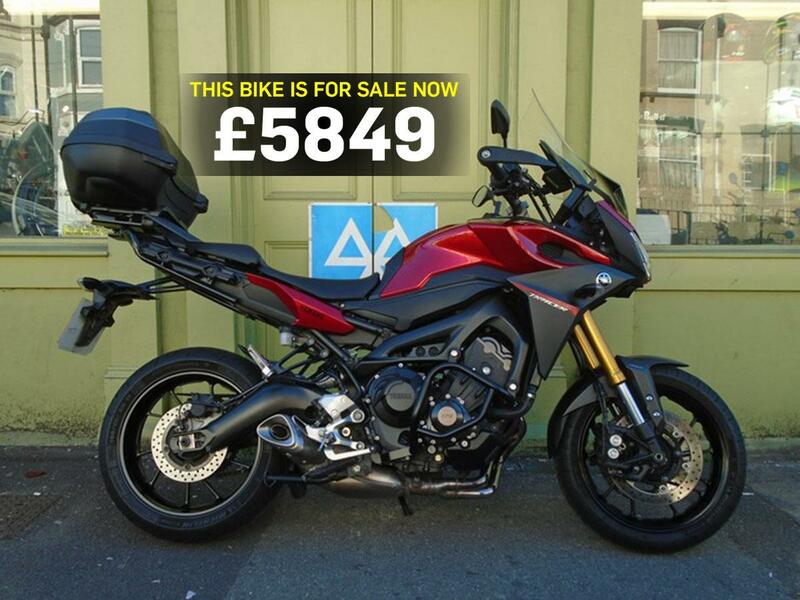 Find a Yamaha MT-09 Tracer for sale.